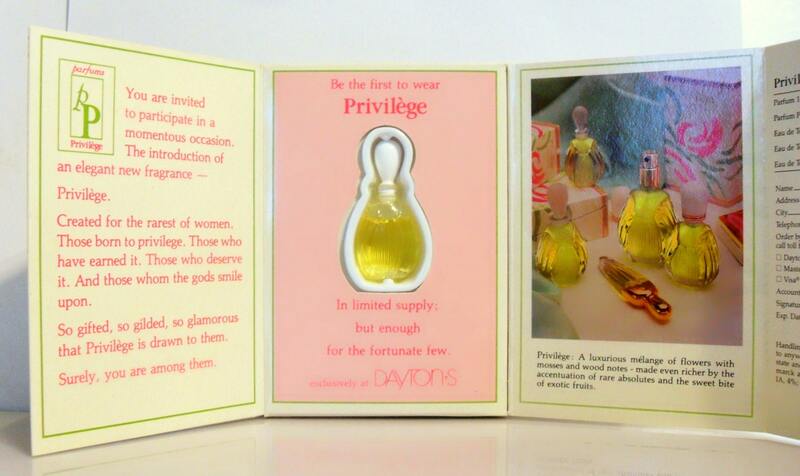 Vintage c1980s Privilege by Parfums Privilege 0.10 oz Eau de Parfum Miniature Mini on original introduction card. Neat looking bottle. 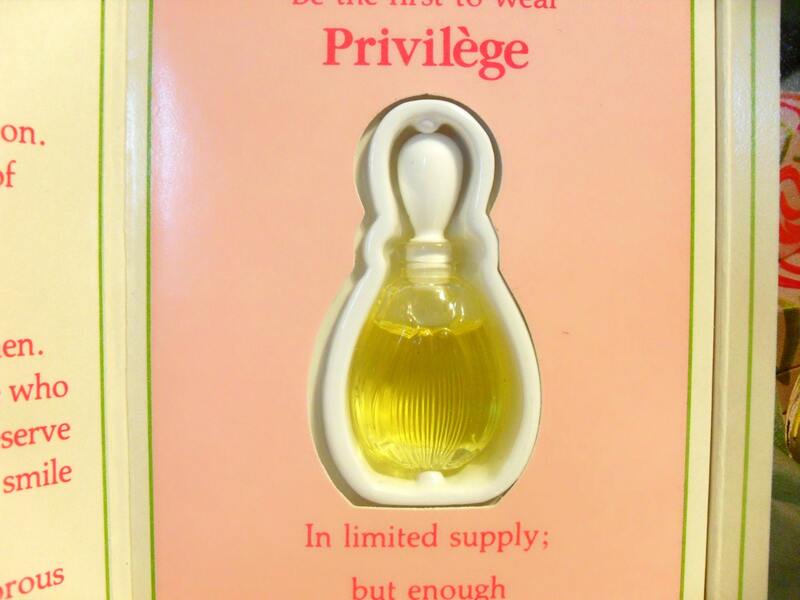 The perfume is old and no longer fresh, would make a cute addition to your mini collection! 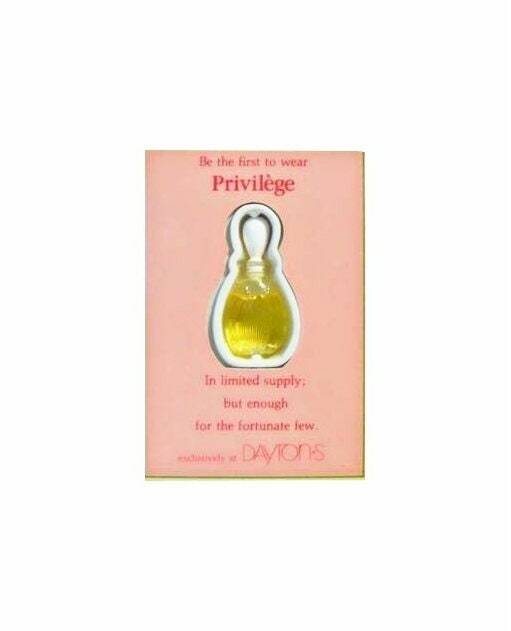 Privilege by Parfums Privilege is a Floral Fruity fragrance for women. 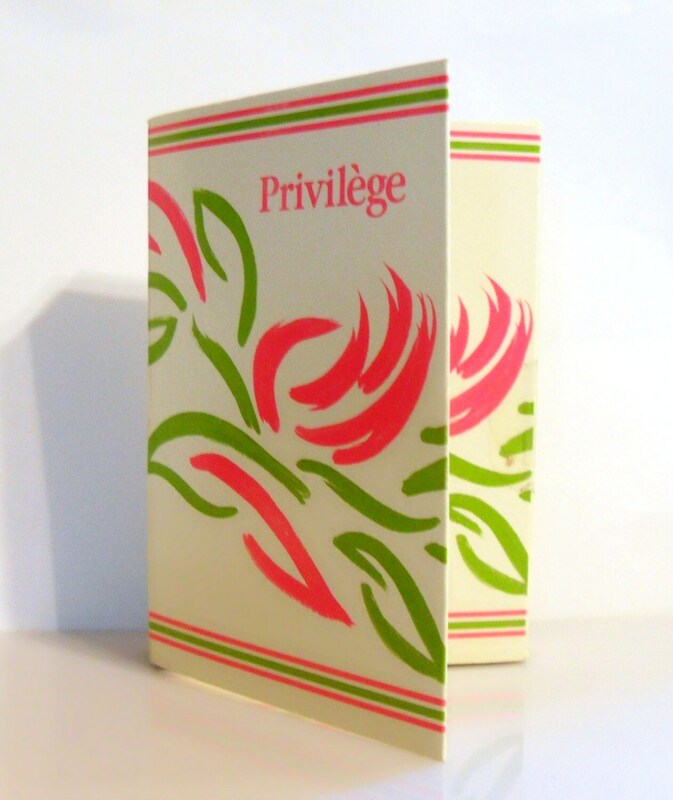 Privilege was launched in 1986.